Snowmass Village and Aspen, Colorado have many fun things to do and events along with various festivals. 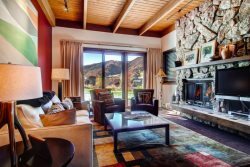 Please contact us for more information and let your Snowmass vacation condo team help you plan a wonderful vacation Winter, Spring, Summer and Fall. The Jazz Aspen Snowmass Labor Day Festival takes place at the Snowmass Town Park in Snowmass Village. In addition to world-class music on the main stage each day, diverse live music can be seen on two festival side stages and at JAS After Dark performances each night. The JAS Village includes an international bazaar of exotic food, drink and crafts. Getting 40 balloons in the air at the same time takes an entire Village! If you really want to have fun and enjoy a memorable experience, consider volunteering at the balloon festival. Aspen Fashion Week is a destination fashion event designed to showcase the ski, technical outerwear and resort fashions in the home and playground of the most stylish consumers. With informal presentations, apr�s showings, on-mountain events and late night fashionable soirees. The world�s signature action winter sports event. Four days in Aspen this year saw a perfect 100 score, a five-peat, first-ever tricks and a celebration of the life of Sarah Burke. Booya! As we celebrate our 39th year, Krabloonik Restaurant and Dog Sledding has welcomed guests with exquisitely prepared game and fresh fish, an award-winning wine list and spectacular mountain views. All this is savored in the midst of Krabloonik sled-dog teams, leaping and howling in wild anticipation of the run.